Today I’m very lucky to be interviewing F.T. Lukens of The Star Host. 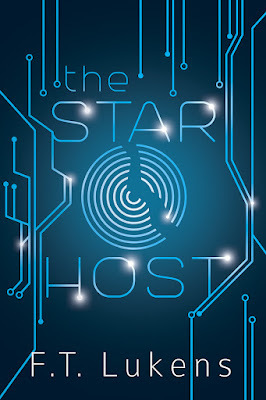 I'm currently reading Star Host and am enjoying it very much. Welcome, F.T., thank you for agreeing to this interview. Tell us a little about yourself, your background, and your current book. Hi, everyone. This is F.T. 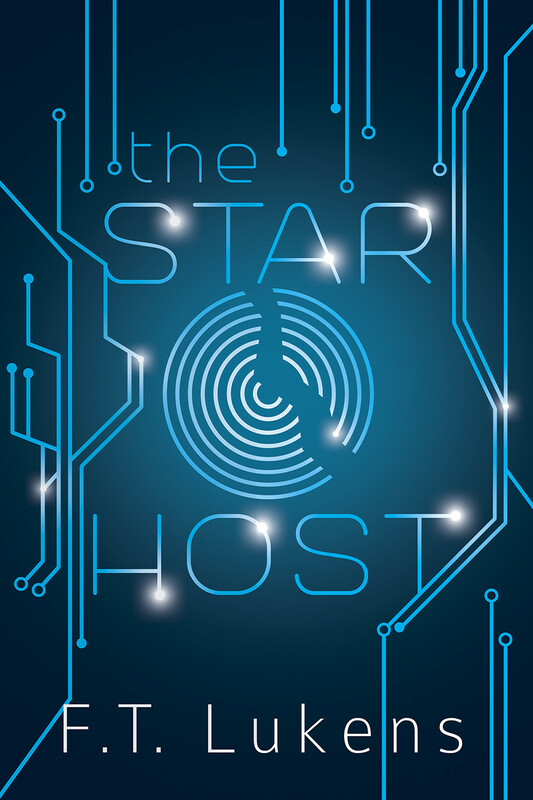 and I’m here to talk about The Star Host, which is a science-fiction adventure novel. 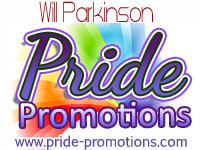 It features a bisexual main character, and a diverse cast of characters. The novel follows, Ren and Asher, as they navigate political intrigue, Ren’s growing power, and their own relationship as they journey across planets, spaceships, and drifts. I’m going to answer this question by telling you how I came up with the name for the character, Asher. I am a huge fan of the Evil Dead movies and Bruce Campbell. The third movie, Army of Darkness, begins with the line “My name is Ash, and I am a slave.” So when I was developing the plot line for my second main character, I knew he would be starting out as a captive in a citadel. That line came to me, and I knew I had to name the character Ash. While in the movies, Ash is Ashley, I decided to go with Asher. It’s definitely an homage to the character in those movies. But the resemblance stops with the name. They are nothing alike otherwise. The dreaded writer’s block. Yes, I’ve had it before. I find that trying to force it makes it worse and the anxiety of not being able to produce work exacerbates everything. When I’ve experienced it before, I’ve stepped away from the project. And when I come back to it, I celebrate the little things. I finished a line. Yay! I wrote a paragraph. I’ll have some chocolate. And after a while, I can get myself back into a rhythm where I’m making progress. Other strategies I’ve done before is to leave notes about the next scene right in the manuscript so if I’m having trouble with a scene, I can skip it and go to the next notes. Or I can write little blurbs of what is happening as markers and come back to it when I’m ready. I would love to see The Star Host made into a movie. I think it would be amazing to watch on screen, especially with the special effects available to film makers right now. I am a plotter through and through. I outline stories down to scenes. It helps me to keep going when I’m struggling with writing. With an outline, I can skip a scene and come back to it without interrupting the plot progression. That doesn’t mean, though, that I always stick to the outline I’ve created. There are times when I’m writing and how the characters are reacting to a situation doesn’t mesh well with the outline. When that happens, I adjust accordingly. Ren grew up listening to his mother tell stories about the Star Hosts – a mythical group of people possessed by the power of the stars. The stories were the most exciting part of Ren’s life, and he often dreamed about leaving his backwater planet and finding his place among the neighboring drifts. When Ren is captured by soldiers and taken from his home, his dream slips further out of his grasp. Now a slave of a despotic Baron, Ren must remain inconspicuous while plotting his escape. It’s a challenge since the general of the Baron’s army is convinced Ren is something out of one of his mother’s stories. Ren finds companionship in the occupant of the cell next to his, a drifter named Asher. A member of the Phoenix Corps, Asher is mysterious, charming, and exactly the person Ren needs to anchor him as his sudden technopathic ability threatens to consume him. Ren doesn’t mean to become attached, but after a daring escape, a trek across the planet, and an eventful ride on a merchant ship, Asher is the only thing that reminds Ren of home. Together, they must warn the drifts of the Baron’s plans, master Ren’s growing power, and try to save their friends while navigating the growing attraction between them.